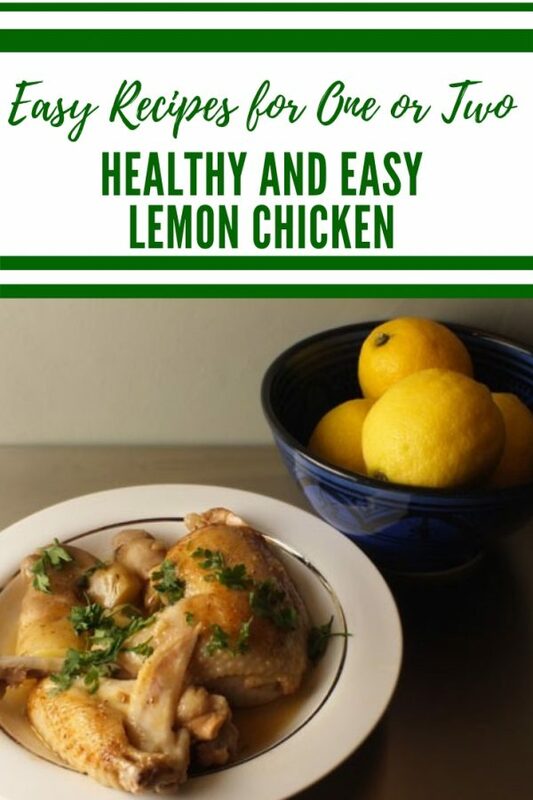 This recipe for healthy lemon chicken is very quick and simple. I made mine using the wings and legs from the Organic Chicken in my Abel and Cole box this week. If you don’t plan on feeding a whole family, it’s quite a good idea to take the legs and wings off a roasting bird and cook them separately. They cook at a different speed to the breast meat – so by making your own ‘crown roast’ you can help to keep the breast meat tender and still have joints for a great casserole. But it works just as well with chicken breasts (preferably bone on), or with a pack of chicken thighs. I’ve already had my crown roast and, given I am trying to be healthy this week (I have a gym assessment on Monday), I wanted to cook something with no cream or excess fat! So, here’s my healthy lemon chicken. 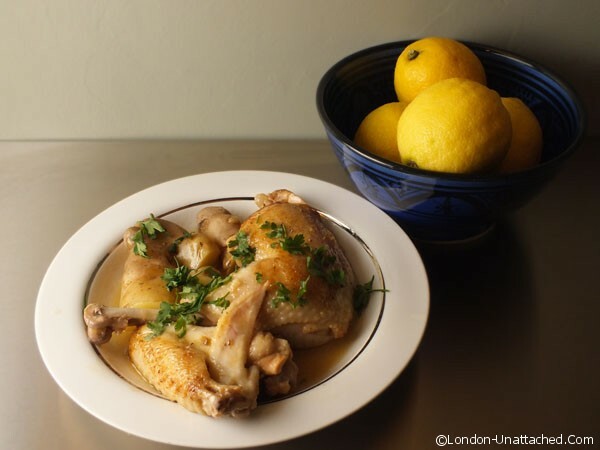 Put the chicken pieces in a plastic storage pot with the lemon juice, garlic, rosemary and most of the olive oil. Place in the fridge for at least 4 hours, preferably overnight. Every so often, ‘baste’ the mixture again or just shake the pot! When you are ready to cook, heat the remainder of the oil in a skillet until it is just smoking. 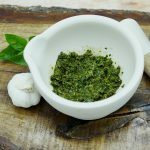 Remove the chicken from the marinade and pat dry with kitchen roll. Put the pieces skin side down in the pan for about 4 minutes until they are nicely browned. Now turn them, and pour in the marinade, the wine and the water. I had this with some pink fir apple potatoes from the Abel and Cole box to go with the chicken and a little green salad. 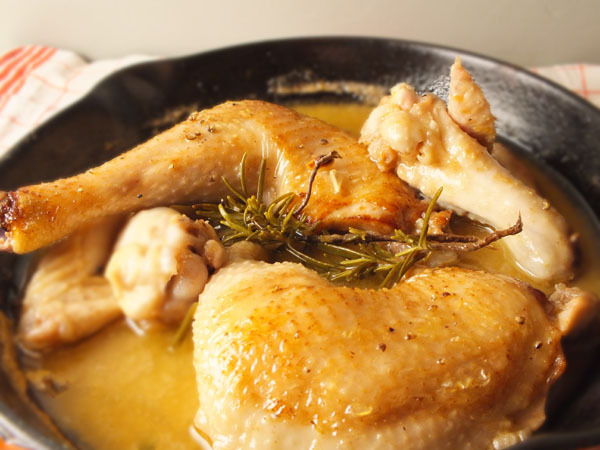 If you want to make life really easy for yourself, you could add new potatoes in at the start of the cooking so they braise in the lemony chicken liquid. You might need to add a little more wine and water if you do that. And if you are using chicken breasts, cut the cooking time down a bit to make sure you don’t dry out the delicate meat. This looks really nice, will have to give this a try. One of my favourite. In particular with green olives.